Prevention of surgical site infection (SSI) remains a key focus area for wound irrigation solution manufacturers. However, wound irrigation procedures lack standardisation and guidelines from major medical groups. There have been clamors for standardisation this practice and investing in developing innovative procedures. This article offers detailed information on these aspects of wound irrigation solutions market. The indispensable role of wound irrigation solutions in wound management has led to the development of novel wound irrigation formulations with improved efficacy and enhanced specificity. Owing to the associated significant morbidity and mortality, wound management presents critical challenges to the healthcare system. Surgical site infections (SSI), in particular, are the most common Hospital-Associated Infections (HAI) and were found to be responsible for over 30per cent of all HAI cases of hospitalised patients surveyed in a cohort study1. Growing prevalence of chronic wounds consumes significant health care resources. Further, delayed wound healing has prominently shifted the costs from hospital inpatients to outpatient settings, in turn, adding to the economic burden of chronic wound management. The estimated rise in the ageing population along with the increasing prevalence of diabetes, obesity, lower extremity arterial diseases and other diseases is expected to further contribute to the chronic wound prevalence. The presence of a plethora of wound irrigation solutions has assisted healthcare professionals in wound management for decades. However, despite the presence of several wound irrigation solutions, their application lacked standard official guidelines or recommendations across the healthcare system. Further, inappropriate use of antimicrobials in surgical wound irrigation has been observed to cause antimicrobial resistance and reduce the effectiveness of treatment, leading to increased health costs and mortality. To approach these challenges of wound management, especially divergent delivery methods, volumes and solution additives, infection preventionists and epidemiologists have been actively engaged in activities addressing the implications of different irrigation practices. Amidst discrepancies regarding the use of various irrigation practices during surgery and wound management, well-designed clinical trials and increasing collaboration between infection preventionists and surgical personnel have led to the adoption of standard protocols of wound management. Further, national and international public health organisations such as the Centre for Disease Control and Prevention (CDC) and WHO, respectively, have recently introduced the latest official guidelines for the prevention of surgical site infections. In addition, the Food and Drugs Administration (FDA) also regulates the concentrations of antibiotics in the surgical wound irrigation formulations. This standardisation trend has led manufacturers in the wound irrigation solution market to align their products with the evolving guidelines. Along with standardisation, R&D efforts are underway to increase the efficacy of existing wound irrigation solutions and introduce innovative procedures. As the understanding of chronic wound healing grows, multiple wound irrigation solutions are entering the pipeline of clinical approval. Among the two types of wound irrigation solutions, namely wetting agents and antiseptics, demand for wetting agents is anticipated to outnumber that of antiseptics due to effective wound cleansing and biofilm management. As per the Fact.MR valuations2, the wetting agents are estimated to generate revenue worth US$814.3 million by 2027 end. The stronger distribution network and the emergence of e-commerce platform have increased the availability of wound irrigation products for end users including hospitals, ambulatory surgical centers, clinics, long-term care centers and home care settings among others. 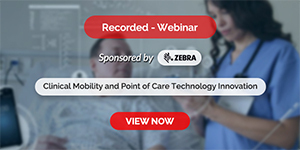 While hospitals are estimated to report the highest market share contributing to over a third of the total end-user market value, home care settings are expected to follow the trail owing to the growing importance and affordability of home health care. North America will be at the helm of the demand, presenting US$469.4 million by 2027 end, with the significant burden of the chronic wounds in the United States. Asia Pacific region (excluding Japan) is estimated to grow at a rapid pace, generating revenue worth US$354.6 million by the end of 2027, over a quarter of the global market share. The improving healthcare infrastructure and increasing accessibility of advanced health care, particularly in China and India, are the prime factors bolstering the wound irrigation solution market in the Asia Pacific. The lack of awareness regarding advanced wound irrigation solutions and the prevailing higher demand for low-frequency dressing changes are adding friction to the adoption of advanced wound irrigation solutions. With the global market revenue worth US$1314.3 million by 2027, the wound irrigation solution market is estimated to grow at a staggering pace presenting a CAGR of 3.5 per cent during 2018-2027. Growing emphasis on the standardisation of practices by healthcare professionals and the introduction of innovative wound irrigation solutions by manufacturers is likely to support the dwindling market for wound irrigation solution in the coming years. The insights presented here are from a research study on Wound Irrigation Solution Marketby Fact.MR. Nandini is a Market Research Consultant with Fact.MR. She has a strong background in working across various verticals of healthcare i.e. 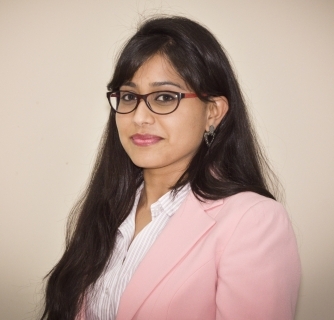 Pharmaceuticals, Medical Devices, and Healthcare IT, Within consulting engagements she has experience in development and advisory of corporate strategies in conjunction with the client’s top management. She has offered brand management and strategy consulting to two of China’s leading healthcare companies.